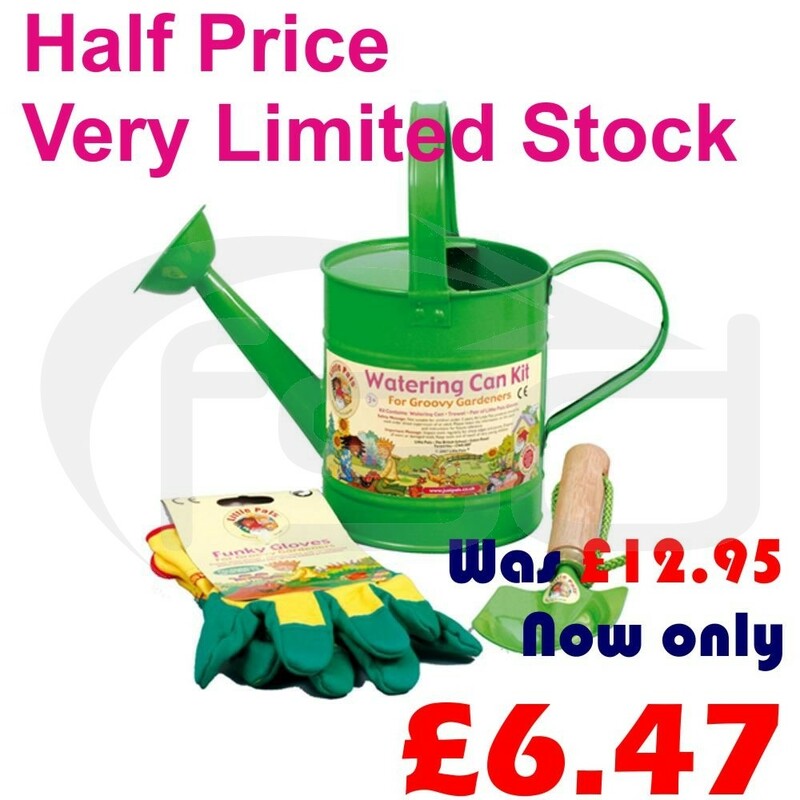 A perfect gift for budding gardeners. 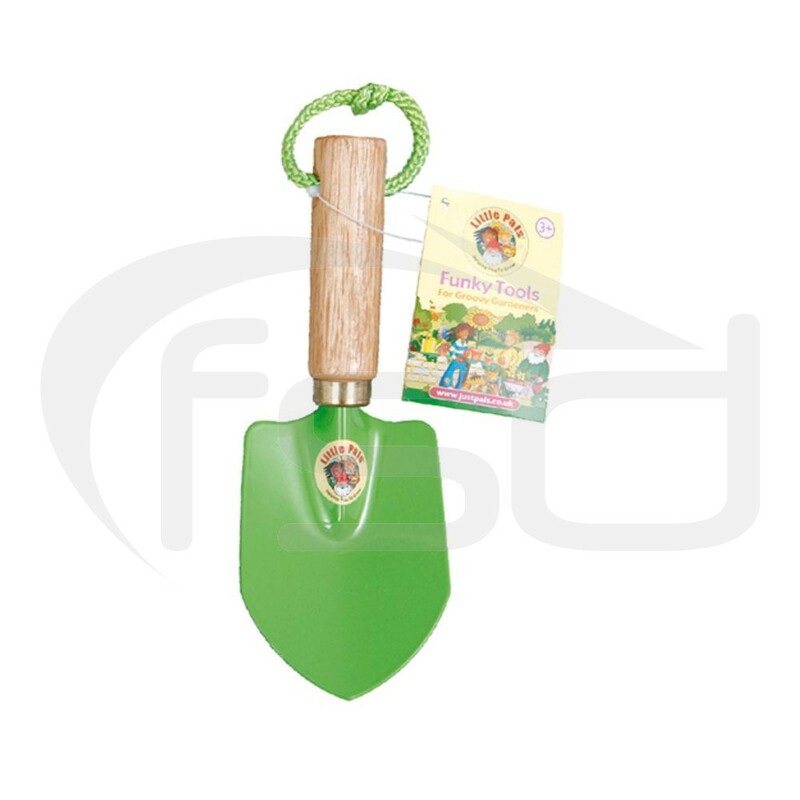 The Little Pals Watering Can Kit contains a bright green hand trowel and pair of cotton rigger gloves packed into a matching metal watering can. 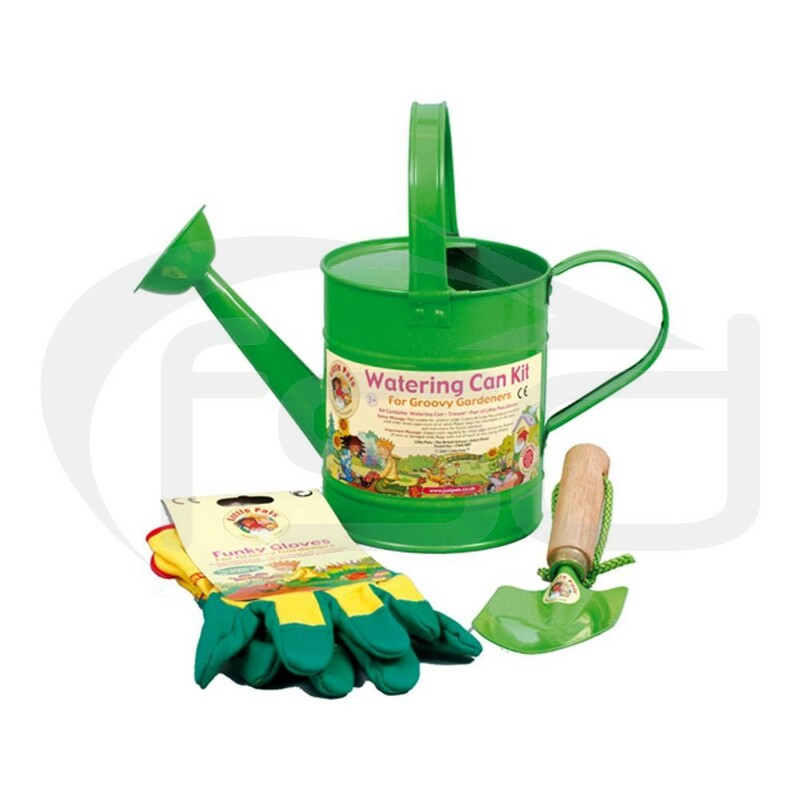 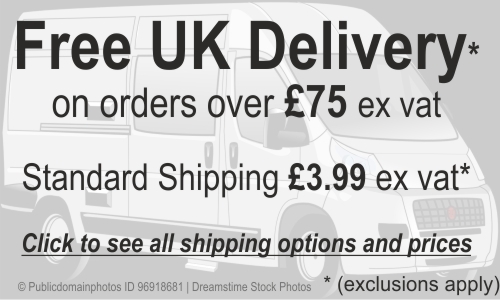 The can measures 23cm from base to top of handle, with a diameter of approximately 13cm. 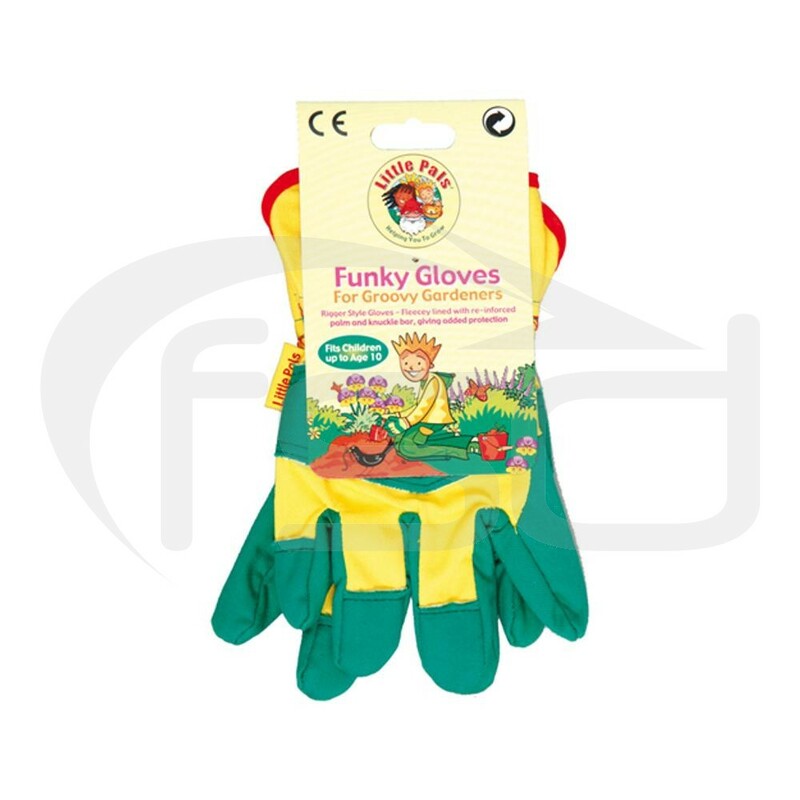 The hand trowel measures 20cm long and 7cm wide and the cotton gloves are one size to fit up to age 10 years.